Aloisio is an entrepreneur passionate about creating new products and business opportunities. 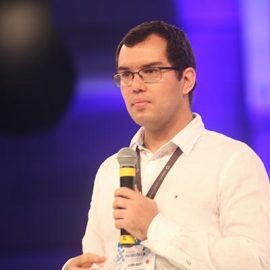 He worked for Papaya Ventures, one of the first accelerators in Rio de Janeiro, where he closely followed the development of the startups in his portfolio. He then decided to set up his own business, Razoom, a platform that connected tour guides and operators to major travel portals such as Hotel Urbano Decolar, among others. Currently Latin America’s GetYourGuide Manager, Europe’s largest tour booking platform. © 2016-2016 Plataforma Space. All rights reserved.